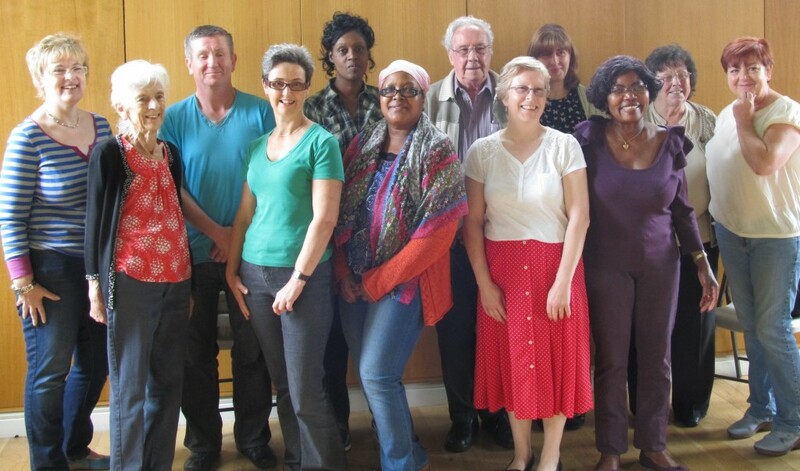 Sandwell and West Birmingham Hospitals (SWBH) NHS Trust’s first choir for cancer patients, survivors and their carers has been named. The choir, which was formed in April, is to be called Voices of Hope. Teresa Rowe, Lung Cancer Specialist Nurse said: “The singers wanted to choose a name which reflected the positive feelings within the group. “We had so many great suggestions that in the end we decided to put it to the vote! “Voices of Hope was a clear winner as it had an uplifting feel and demonstrates the ability of cancer patients and their carers to look forward. “Having so much fun in the practices is an added bonus”. The gang of merry warblers have enjoyed getting involved with fellow patients and improving their own health and wellbeing whilst belting out songs by the likes of Take That and Abba. Following a summer recess the choir will be looking for more members to join their team of ‘voices of hope’. You don’t need to be able to read music or be a great singer, only enthusiasm is needed to join – every voice counts! Practices take place on Saturday mornings at Sandwell Hospital. If you are interested in getting involved please contact the cancer services team on 0121 507 2618.